Casey Anthony was born on the 19th March 1986, in Warren, Ohio USA, and became nationally known after the disappearance of her 3-year-old daughter Caylee Anthony. The baby’s remains were later found, and the case and the trial went public and sensational, something similar to the case of O.J. Simpson in the 90’s. In the end, Casey found not guilty of murder. Have you ever wondered how rich Casey Anthony is, as of mid-2016? 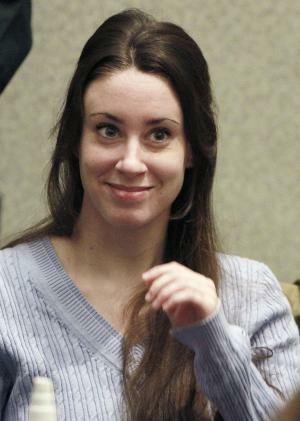 According to the authoritative sources, it has been estimated that Casey Anthony’s net worth is -(minus)$800,000. The trial and the $500,000 she paid for bail added to her unstable financial status. Casey Anthony is one of two children of Cindy and George, a former police officer. Casey was apparently a smart and lovely young girl, but friends said that she manifested a lying pattern in high school. Her parents and grandparents were present at her graduation day, only to find out that she had several exams to take in order to graduate; Casey had stopped attending classes in her senior year, but had persuaded her parents that would graduate anyway. When she was 19, Casey became pregnant, but initially denied it to her parents, only admitting when the pregnancy was evident a few months later; however the identity of the baby’s father is still unknown. Caylee Anthony was born on the 9th August 2005; a later DNA test would prove that Casey’s fiancé, Jesse Grund was not Caylee’s father. Casey and Caylee lived with her parents for nearly three years, before she left because of an argument. In the coming weeks, Cindy Anthony called her daughter to check on Caylee, but Casey told her she had left her with the babysitter Zenaida “Zanny” Fernandez-Gonzalez. On 13th July 2008, George went to pick-up Casey’s car that was in the tow yard, and finding a baby’s car seat and toys in the car, he noticed a peculiar smell, something like an odor of a decomposing body. Cindy was frightened with the news and quickly found her daughter at her boyfriend, Tony Lazaro’s place, where Casey told her that she left the baby with Fernandez-Gonzales a month ago and that the nanny had kidnapped her. On 15 July, a month after Caylee’s disappearance, the Orange County Sheriff’s Office received a missing report from Cindy Anthony. The detectives questioned Casey, and her lies were exposed; the nanny didn’t even exist. She also lied about her work at Universal Studios, and so was arrested on 16 July. The bounty hunter/reality-TV figure Leonard Padilla posted $500,000 for bail to have Casey released, however, Casey failed to provide any useful clues, and it seemed that she didn’t even care, so Padilla gave up on her, and Casey was back in jail eight days later. At the time, the case had already become a national sensation, and the trial was covered by television stations. Caylee’s remains were found in December 2008, wrapped in a blanket inside a rubbish bag in woods near the family home. Forensics determined that duct tape had been wrapped around the head, concluding that the death was a homicide, however, it was officially recorded as “death by undetermined means”. The trial began three years after Caylee’s disappearance, prosecutors wanting the death penalty for the neglecting mother. The Cable Network News were all over the trial; the whole thing was reminiscent of the O.J. Simpson trial in 1995. Jose Baez, with co-attorney Cheney Mason, were the defending attorneys and worked pro bono. They created a strange defense, accusing Casey’s father of sexually molesting her when she was eight, her brother Lee as well. On 5 July 2011, the jury found Casey not guilty on all counts except for providing false information to the authorities and hence she was sentenced to four years in jail along with $4,000 in fines. Casey was released three years later after good behavior, but billed with more than $200,000 due to the law enforcement search for missing Caylee. Casey Anthony currently resides in her home in Florida, having filed for bankruptcy, and is completely estranged from her parents. 1 Her attorney for her murder trial was Jose Baez. 2 Mother of Caylee Anthony, who went missing in June 2008. Her body was found on 11 December near the home of her grandparents, the victim of homicide. 3 Daughter of Cindy Anthony and George Anthony.